Business Creativity Speaker - keynote speaker on creativity in business. David is an experienced international business creativity speaker. His keynote speeches draw on his own experience as a creative entrepreneur, his academic research and his work as a consultant in business and creativity with enterprises world-wide. 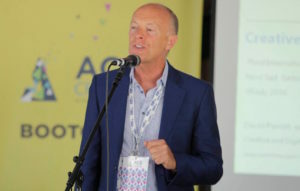 He is an international keynote speaker on the subject of “How to Profit from Creativity in Business” and delivers in-house training workshops on ‘Creativity for Innovation and Profit’. David also lectures on Creativity, Innovation and Entrepreneurship at Universities around the world. As a business creativity speaker, David inspires businesses find creative solutions to marketing and business growth by combining creativity and business. He brings international experience of creativity to help clients find innovative, imaginative and ingenious solutions by using both ‘a-Creativity’ and ‘i-Creativity’, as explained in this video from TEDx Napoli. 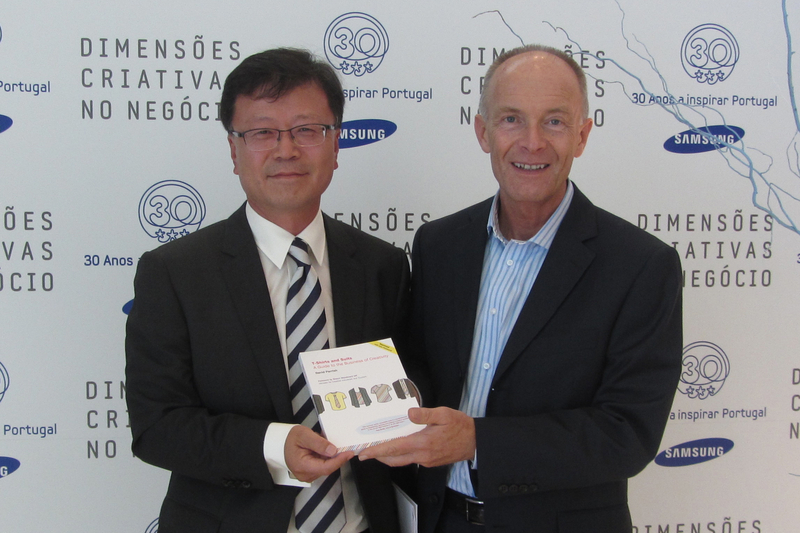 This is Serious Creativity for Business Success; that’s why David was the keynote speaker on Creativity and Business at a Samsung event in Portugal. 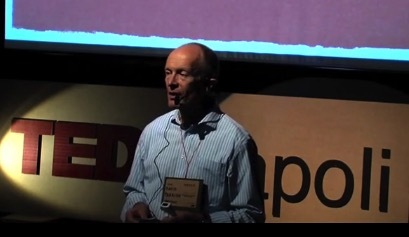 David was the keynote speaker on creativity at TEDx Napoli. He was invited to Saudi Arabia to deliver a Leading Creative Cultures workshop for the Madinah Institute of Leadership and Entrepreneurship. In Kuala Lumpur, Malaysia, David gave a presentation to entrepreneurs on the subject of ‘Business Creativity Around the World’. In Chiang Mai, Thailand, David made a business creativity speech: ‘How to Profit from Creativity in Business: Think Creatively to Achieve Success’. 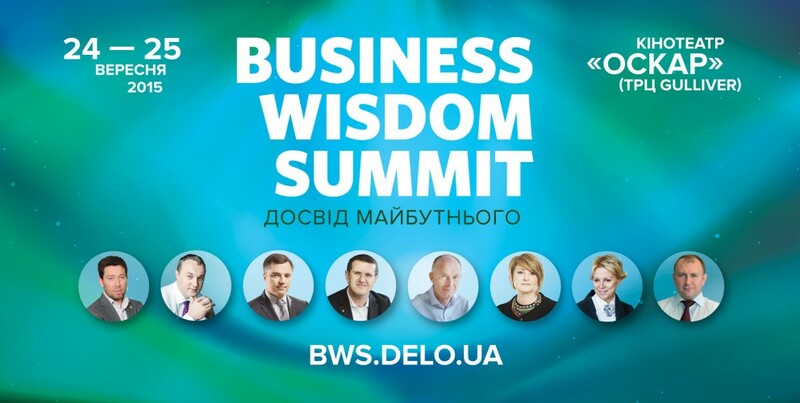 David was the opening keynote speaker at the Business Wisdom Summit in Ukraine. 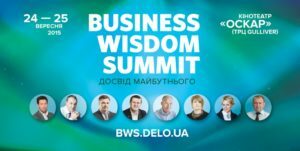 He spoke on the subject of “How to Profit from Creativity in Business” to an audience of business owners, chief executives and senior managers of businesses in all sectors of the economy in Ukraine, including international corporations, media companies, technology firms and university business schools. David was a business creativity speaker at the Creativity Summit, broadcast from Australia in May 2017. David knows that creativity can be used both in the studio and in the office, in other words, we can use a-Creativity in devising creative products or services, and we can use i-Creativity in our business systems – in marketing, in raising finance, in change management, in commercialising intellectual property, leading people, customer relations, partnerships, organisational structures, market research, project management and in other areas of business growth. David is an expert in creative business models. His creativity consulting and workshops are relevant to all aspects of business in a wide range of business sectors. He has helped hundreds of businesses in more than 50 countries world-wide in his capacity as a consultant, trainer and speaker. As a business creativity speaker, David advises businesses on to use creative business models in the creative industries and other business sectors worldwide. For more information about David as a business creativity speaker, contact David’s offices in London, Liverpool and Manchester. 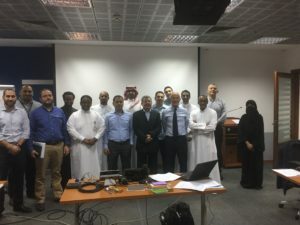 David with creativity workshop participants at Abudawood Group, Saudi Arabia.